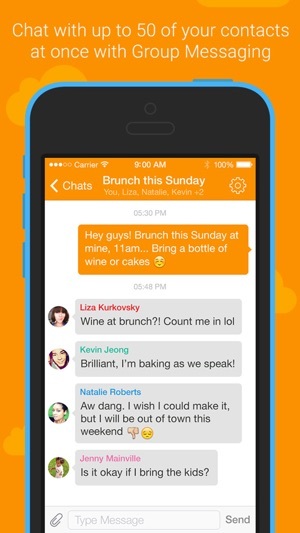 Download Vonage Mobile® and start a FREE group message with as many as 50 other users. 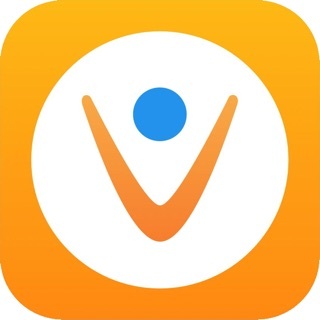 Use Vonage Mobile from up to five of your devices and get free texting and group messaging, free calls and free video chat on iPhones, iPads and iPods, along with other supported phones and tablets. Choose your device, and get free text and group messaging, free calls, and free video chat with other Vonage Mobile users worldwide. The app works over Wi-Fi, 3G and 4G networks. * You can also make low-cost international calls to all mobile numbers and landlines. 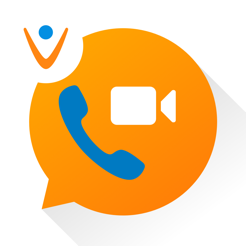 Choose your device, and get great video call quality for face-to-face time with friends and loved ones with free video calling to other Vonage Mobile users worldwide. 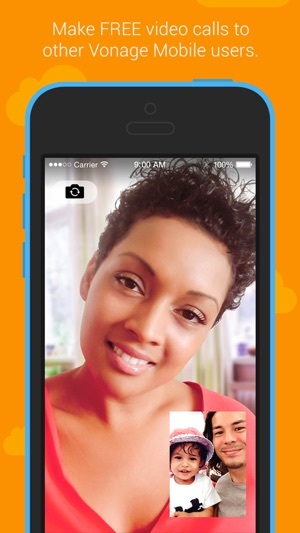 Video calling is supported on iPhone 6, 6Plus, 5s, 5c, 5, 4s, and 4 and requires iOS 6 or higher. It’s also easy to leave a Video Message. Record a video in app to leave as a message or select a pre-recorded video from your phone. Remember to use Vonage Mobile over Wi-Fi when traveling internationally to stay in touch for less. And, if you need to add calling credit at any time, it’s easy. Just buy in the app, directly from your iTunes account. All voice calls between Vonage Mobile users are HD-quality, making it sound like the person on the other side is in the room with you. Once you hear HD-voice you will never want to make a regular voice call again. 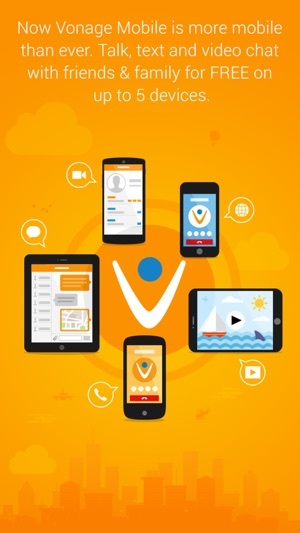 Send and receive free text messages, pictures, video clips, audio clips and more with other Vonage Mobile users. Never pay for international messaging again. ** Comparison reflects published pay per use rates to the top 50 countries called. So, I paid them to have phone credit for calls made from my iPhone using their app. I had them on my iphone just in case my message units ran out on my iPhone using T-Mobile, as a backup. Well, yesterday, I tried to use them, but they said I had no credit on my account. Now, I never used that credit before and when I called today, the customer service representative said I had to use the app once every 6 months, or else, they will deduct $1.00 for every month that passes after that. So, in essence, they took my credit and pocketed it. Had I known this was their dishonest practice, I would have, of course, used the app at least once in a while, rather than as an emergency choice. They never sent me an email, no notice whatsoever. And none of this was written when you pay them to receive their service. Only after-the-fact; as in today….totally sneaky. 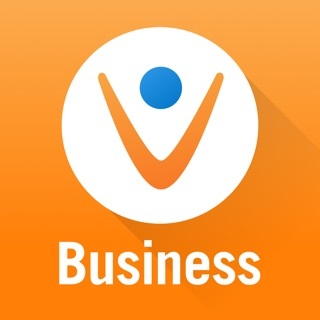 I use Vonage Mobile when I am traveling out of the country. I get a local data only sim card for my ipad mini (usually $15-20 for 30 days) and use it for google maps for both walking routes and transport, taking photos, keeping in touch by email, following our stock portfolio . 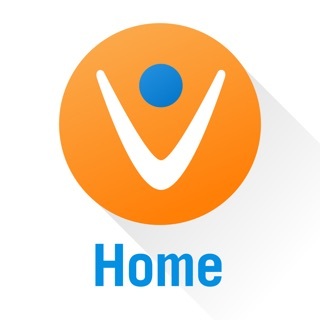 . . and to make phone calls home or anywhere in the world using Vonage Mobile. The app picks up your own contacts list for convenience. From Spain, France and Italy I have called friends in the U.S. and family in Costa Rica using both wifi and data connection and it always sounds like the person is in the next room, not across the world. One cent a minute is more than fair! I have to pay on outgoing calls that I make. Vonage Mobile is my only way to make outgoing calls until recently. Vonage Mobile is a crappy app now. Please bring back my outgoing app. There servers is garbage. I have to pay one cent on every call in the United States what a joke. Trash is garbage for vonage Mobile app. Really why pay when there are other app that are much better. The call drop in the middle of the conversation. Please update this app now. It terrible app now. I have use this app four years until now where I have to pay. It not free calling app anymore now. It should be call pay text and call now app. Garbage app. Poor connection and slow app. 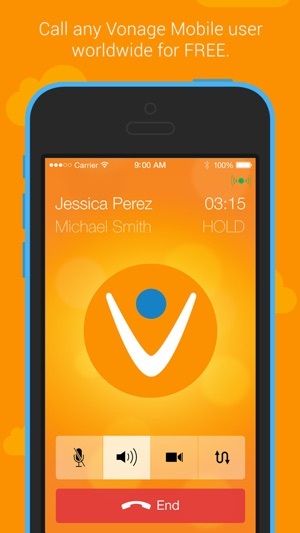 Vonage Mobile need to take this app out of the Apple Store. Worthless garbage trash sickening app. Vonage is crap.